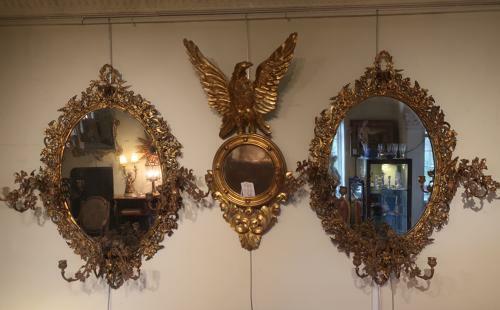 A fine pair of large oval mirrors, or girandoles in cast ormolu each with three , three branch candlelight’s. Very detailed with scrolling vines, foliage and birds. The gilded metal all in excellent condition, they would look wonderful with lit candles.